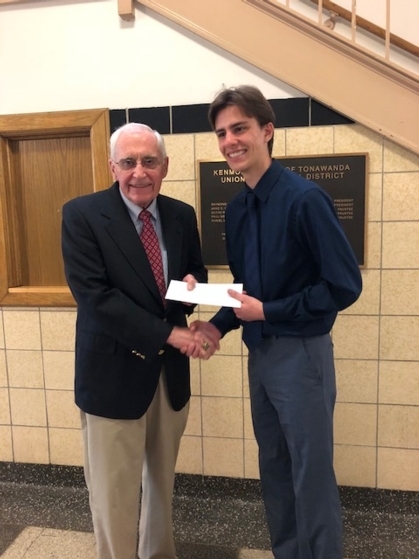 Kenmore West Class of 1960 David Hight Scholarship Recipient for 2018 is ALEXANDER KIRISITS. Please see the email sent to you in regards to Alex. Below is Alex receiving our scholarship from Hugh McPherson. For those of you who did not have the opportunity to donate to the 2018 scholarship fund, we are planning to continue our campaign for 2019 and will be accepting donations toward that goal. Please consider donating so we may continue to fund the Kenmore West Class of 1960 David Hight Scholarship Fund. You must watch to the end to see the amazing landing of that last kite! And of course, make sure the volume is turned up because the music is wonderful and totally reflects the soaring of the kites. Beautiful!